Using drone technology, great graphics and a stunning backdrop, Metropolitan's new "Wings Over the Colorado River Aqueduct" is a hit, with nearly half a million views on Facebook. Metropolitan has a proud and ongoing legacy of overcoming challenges and adapting to change, creating a dynamic organization dedicated to providing a reliable water supply while also embracing environmental stewardship and sustainability. It’s a legacy of builders. From left to right: Board Members Steve Blois, Glen Peterson, Marsha Ramos, Michael Touhey, Board Chair Randy Record, General Manager Jeff Kightlinger, Board Members Russell Lefevre, John Morris, and David De Jesus. With the dual goals of cutting carbon emissions and reducing operational costs, Metropolitan recently unveiled its latest investment in solar power by activating two separate solar fields with 10,780 large, sun-tracking panels at the district’s F.E. Weymouth Water Treatment Plant at La Verne. Metropolitan’s Board of Directors kept the momentum going and approved construction of a 1-megawatt solar power generating facility at the district’s Joseph Jensen Water Treatment Plant, with start-up expected late 2017. Watch a time-lapse video of the Weymouth construction, an overview video of the new facility and the dedication ceremony via Facebook Live. New fact sheets created by Metropolitan are now available: California WaterFix and the popular water-savings fact sheet Home is Where the Savings Are is now available in traditional Chinese, augmenting the English and Spanish versions. 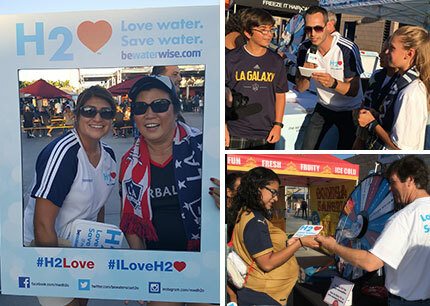 Partnership with L.A. Galaxy Emphasizes H2Love Conservation Message: Love Water. Save Water. Metropolitan’s conservation booth at recent L.A. Galaxy games has been very popular with fans as has been a video of Galaxy goalie Brian Rowe prompting H2Love and a Facebook Live broadcast featuring host Johnny Rey Diaz. The booth and Diaz will also be at Galaxy games on Sept. 11 and 25. General Manager Jeffrey Kightlinger talks about Metropolitan’s commitment to sustainability, adapting to climate change and solar power on his video blog H2oTalk; GM also explains on his H2outlook blog how Southland water use is down even as the heat rises. Thousands turn out for CicLAvia and Metropolitan is there spreading the word about water conservation. 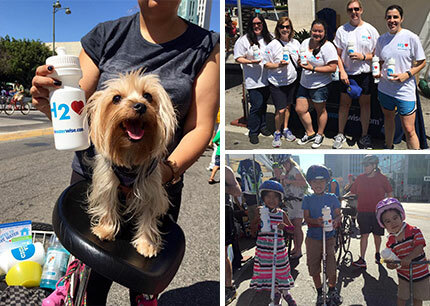 Metropolitan was a sponsor of the recent CicLAvia event in L.A. which attracted 50,000 bicyclists, walkers, Sunday strollers and people enjoying the social ambiance of blocked off, car-free Wilshire Boulevard. Metropolitan’s booth promoting water conservation was busy all day. 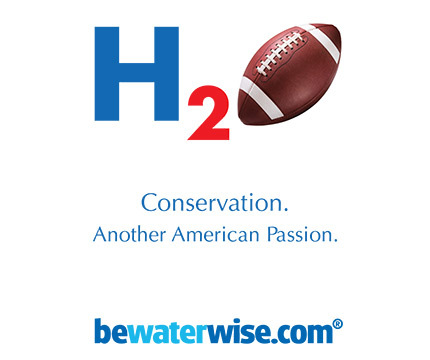 Metropolitan has joined the San Diego Chargers to promote water conservation in the team’s 2016 eight-game home season program. Editor Dan Morain recently conducted a wide ranging interview, including questions about the Delta, of the GM before an audience of Bee readers. Watch the interview as filmed by the Central Valley Business Times.